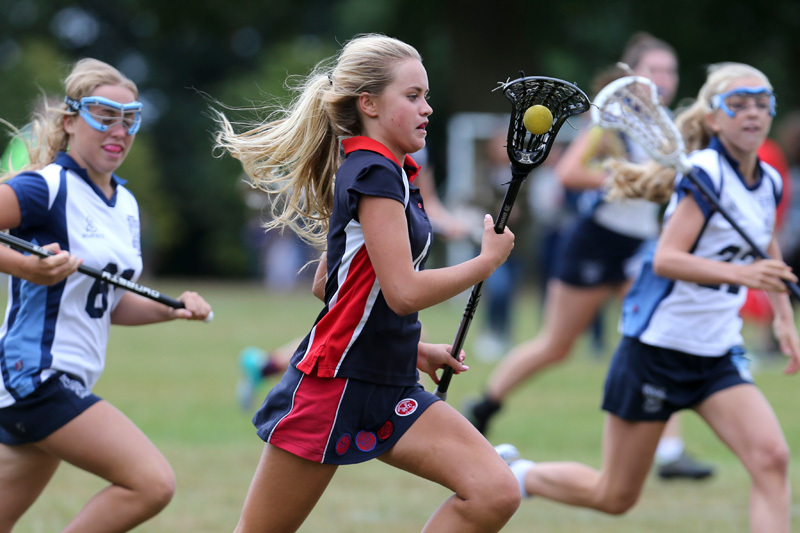 The Autumn term has begun in earnest this week and some schools get the sports scene going straightaway. I don’t photograph Lacrosse very often but I have enough knowledge of how the game is played and therefore where all the key action will be on the field. The vital piece of information is how big is the field of play is and which size telephoto lens to bring. My 400mm would be too big as they play on an area smaller than a football pitch. My 300mm lens is just right to capture the midfield action and allow a selective crop in post production. The tournament games are 7 mins per half and you need to be on the ball to try and get good photos of all their key players for the school to use in their publications, websites and prospectus.